Take home this fan-favorite Disney character, reimagined by iconic pop artist Romero Britto. 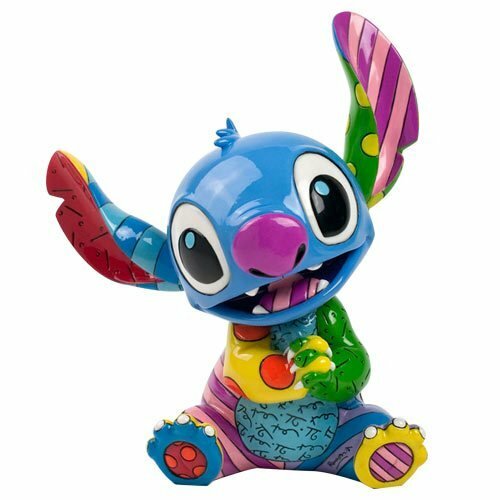 The amazing 7 3/5-inch tall Disney Lilo & Stitch Stitch Statue by Romero Britto captures the eccentric extraterrestrial's detail with a fun and whimsical twist - colorful stripes and polka dots! This dazzling stone resin piece includes Britto's "bto" signature and is sure to please fans around the world.